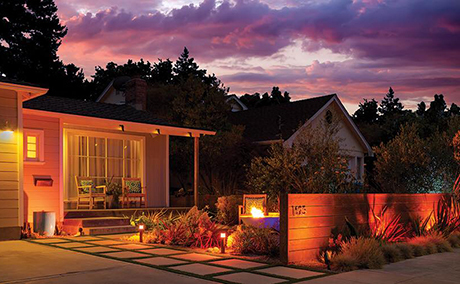 We are a Global Leader in the Irrigation, Architectural and Landscape Lighting. As well as in the Custom Manufacturing Industries. Hunter Industries is a family company that provides high quality and efficient solutions. Solutions for the irrigation, outdoor lighting, and custom molding industries. You can see our products everywhere. From residential landscapes, to stadiums, national landmarks, theme parks, city parks. As well as commercial complexes, hotels, and municipal buildings around the world. You can be from New York, Shanghai, Sydney, Paris, Moscow, or Cairo, but for sure, you will encountered a Hunter product somewhere along the way. Our European office is in Barcelona, SPAIN. Avenida Diagonal 523, 5o-2a, Edificio Atalaya, Tel: +34 934 948 881. Hunter Industries is a global manufacturer of products for the irrigation, outdoor lighting, dispensing technology. Our family-owned company offers a full spectrum of water- and energy-efficient solutions for residential, commercial, municipal, and agricultural applications. Furthermore, the current Hunter irrigation product line includes pop-up gear-driven rotors, high-efficiency rotary nozzles, spray sprinklers. As well as valves, controllers, central controllers, professional landscape drip, and weather sensors. Our Headquarters are in San Marcos, CA. Since 1981, Hunter’s core business interest has been producing products that allow irrigation professionals to create solutions that use as little water and energy as possible. And to create optimal landscape function and ambiance. We have diversified into the landscape lighting industry through the acquisition of FX Luminaire. FX lighting products are manufactured in San Diego, CA. They ensure the highest quality standards. As a further step of expansion we have also acquired a Custom Molding company and started Hunter Custom Molding. Beyond product innovation, Hunter is also popular as a leader in outstanding customer service, product training and technical support in all of our business segments. In addition Hunter is pushing the boundaries of technology, conservation, quality, and customer experience in every product and project. In our factory, the office, and the field, we put innovation to work every day. And this for every one of our customers around the world.